Glad to see you get to burn one. I smoked through all of those I had. Hope it was enjoyable. Hopefully spring is here soon. My propane bill in the shed is high enough this year. If you enjoy The Edge, definitely check out an Edge Battalion. 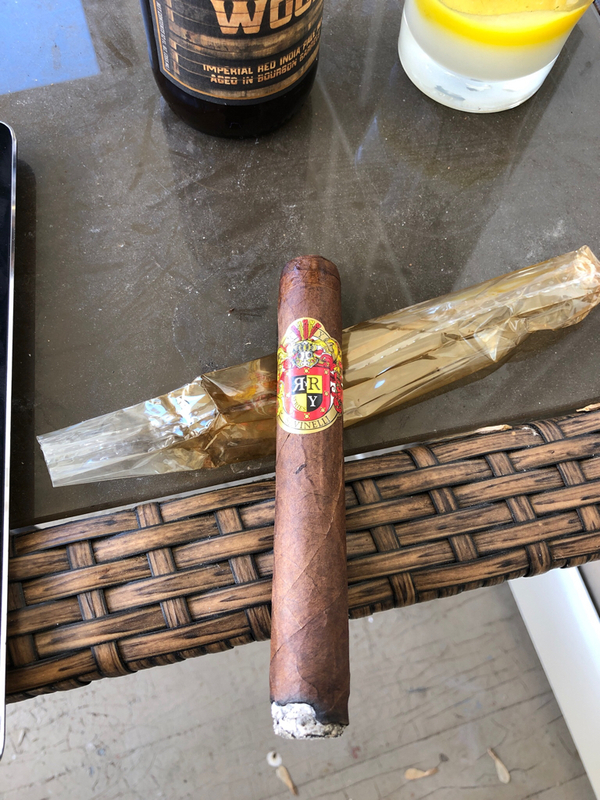 I am staying warm, mostly.....lol.....managed to spend two hours in my man cave on Saturday and smoked a Te-Amo Churchill. A friend of mine had a coworker bring us some back from Mexico a couple weeks ago. I usually go for the Te-Amo #4's. The Churchill tasted the same as the #4 and was just as enjoyable but it lasted a lot longer! (No surprise there....lol) I got a half box of the Churchill's and a 5 pack of Te-Amo Torpedo's that came in it's own box with a glass lid. I'm looking forward to trying the Torpedo one day soon. Finally, some spring type weather! It's going to go above freezing today. Just a degree or two so not enough to sit out on my deck and enjoy a cigar so I'm sitting in my man cave sipping a coffee and enjoying an AF Anejo #48 .............. one of my favorite cigars! Time to give these a try. Wish me luck.